Select a disk or a partition that you want to clone. 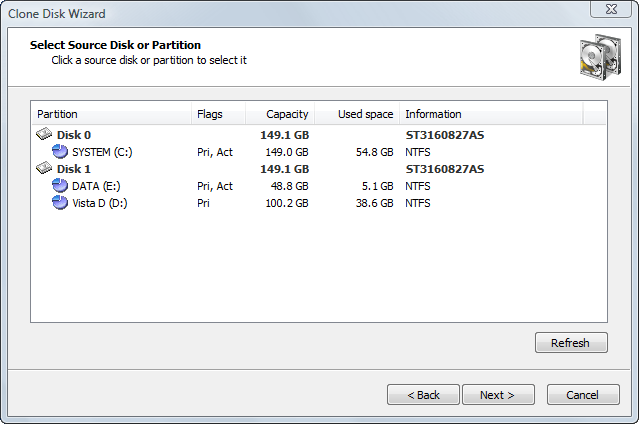 If you select a disk, all its sectors (with all partitions) will be selected. Information — For a partition — the file system type. For a hard disk - the name in the BIOS.